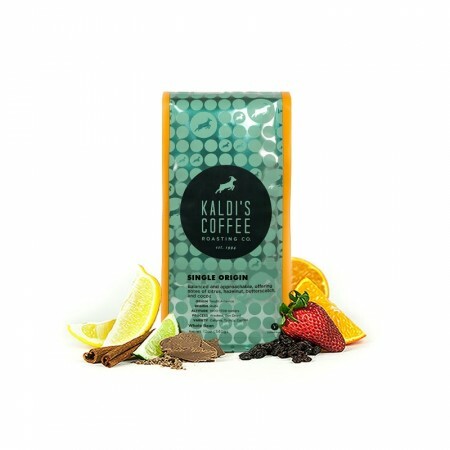 This is the Democratic Republic of the Congo Muungano Fair Trade brought to you by Kaldi's Coffee Roasting Co. Grown by the Muungano Cooperative in the Kiniezere, South Kivu region between 1,480 - 2,100 meters, this fully washed coffee is a perfect example of why we love coffees from Congo. This coffee is syrupy and complex boasting a rich balance of cranberry, citrus, stone fruit, baking spices, earl grey tea and brown sugar with a full-bodied sweetness. The dark brown sugar flavor is really pronounced in the smell and taste, and the cranberry acidity rounds out the cup nicely. Really tasty. I did not like this at all and very disspointed. It said it was light-medium but it's not even medium. It's dark as hell and I am having hard time drinking it. What a waste :( Would not buy it if I spelled it at a store! Just a very average coffee. Nothing at all stood out from this variety. I brewed multiple cups via pour over and then tried it with cold brew hoping that some flavors would shine through. The beans made about as good a cup as store brand whole bean coffee. Couldn’t recommend skipping this variety strongly enough.